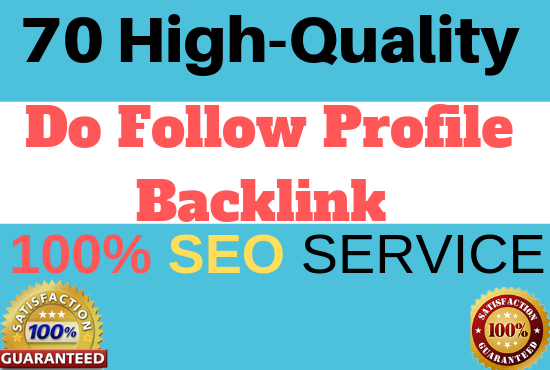 ***I will give you 70 (High-quality Authority) Dofollow Profile Backlinks. Profile Backlinks is one of the powerful Techniques to increase the rankings of your Website. I will give you 70 Dofollow Profile Backlinks. All links are from Highly Trusted Domain Authority(DA 51 to 97). It's very helpful and workable for your URL and rank search first keyword. All will be manually created, very strong and permanent. Only the Natural and do-follow Domain. Manually Create 70 High Dofollow Authority Profile Backlinks is ranked 5 out of 5. Based on 1 user reviews.